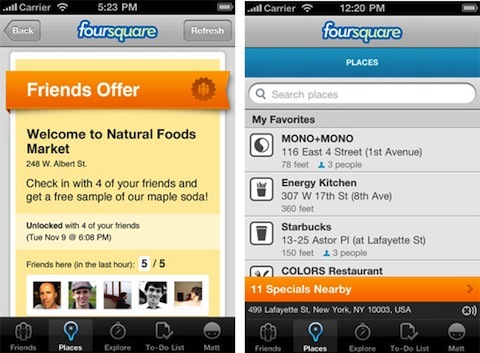 Foursquare has come a long way in the past year, growing from 100,000 users to 7,500,000 users. 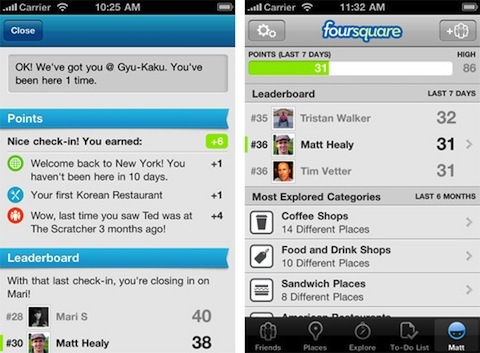 This company wanted to make a big splash at SXSW this year and came up with foursquare 3.0. The update combines three different ideas: Discovery, Encouragement, and Loyalty. 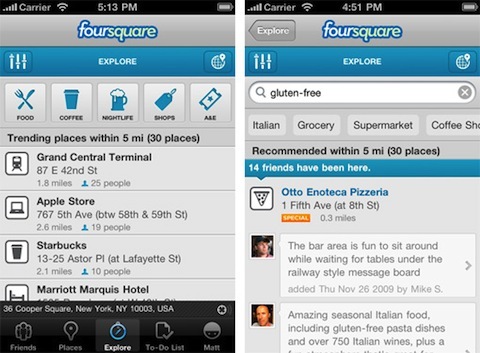 Foursquare is going to assist you in discovering new places with the “Explore” tab. Just tell the app what you are looking for it and it will suggest places for you based on the places you’ve been, the places your friends have visited, your loyalty to your favorite places, the categories and types of places you gravitate towards, what’s popular with other users, the day of the week, places with great tips, the time of day, and so on. Additionally, it will tell you why it thinks you should visit a certain place. The Encouragement part of the update involves a new and improved leaderboard. They have gotten rid of the old leaderboard and its point systems, replacing it with a 7-day barometer of you and your friends. Different check ins will prompt points like trying new types of restaurants, visiting new cities, getting groups together, hanging out with old friends, and a few other things you may no expect. The Loyalty part of the update is mostly for merchants who will be offering specials through foursquare.These businesses will be able to offer specials to swarms, groups of friends, regulars, newbies, Mayors, or everyone. Also, the update will show Specials nearby in the Places screen in the app. The app will be available later today on Android phones and iPhones.